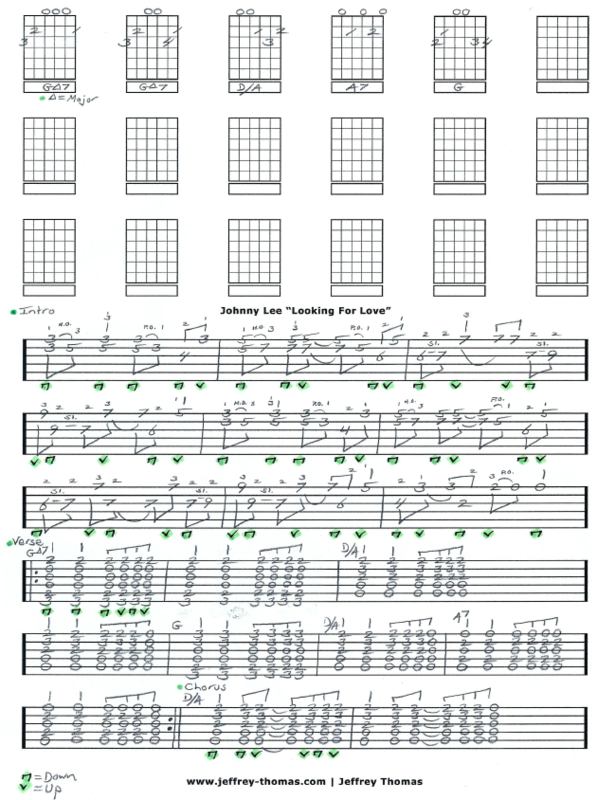 Johnny Lee Looking For Love Free Guitar Tab by Jeffrey Thomas. Learn the right licks, chords, strumming and song structure for this country classic. This guitar tab follows the original version of the song so you will learn to play it the way it is. Perfect version for a sing along or solo performance. Looking for the full guitar tab for free? Just send in your email address on the form provided and I’ll send it off to you. Want to try a free Skype guitar lesson? Fill out the Schedule A Free Lesson form and we can set your lesson up the same day. “Looking For Love” was featured in the movie Urban Cowboy and rose to #1 on Billboard’s Hot Country Singles chart. Find more great online guitar tabs on my tab, video and blog pages.